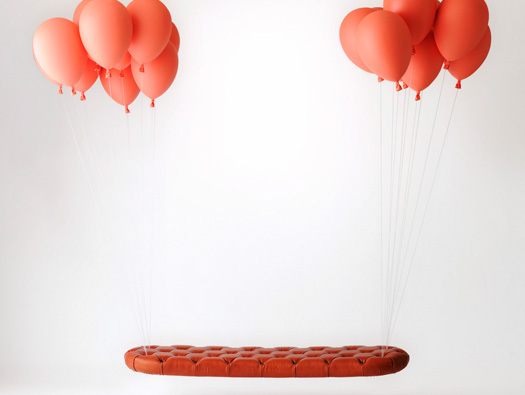 This bench was visually inspired by the feeling of floating that the main character felt in the French movie, “Le Ballon Rouge”(1953). In reality the bench is suspended from the ceiling by 4 anchors concealed by the balloon shapes. 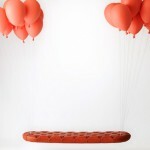 This creates the illusion of the bench being lifted by balloons.